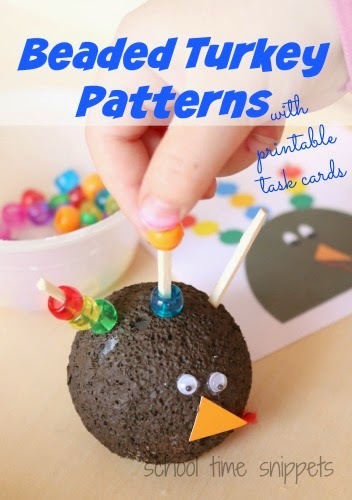 This preschool patterns activity is perfect for November! Your preschooler will practice making colorful turkey feather patterns using pony beads. 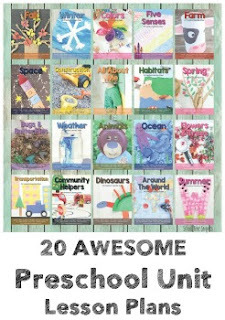 Free printable pattern task cards included! Help your preschooler understand patterns with this festive activity that is a perfect go-along for your turkey and/or Thanskgiving theme activities. Work on patterning, colors, fine motor skills, and counting while building turkey feather patterns using pony beads. I've included some printable task cards below to make this activity re-useable, so check those out, too! First, assemble your styrofoam turkey base. Away from little hands, have an adult cut off some of the styrofoam ball so that it can sit flat on the table. Next, with the items listed above, paint the stryrofoam ball brown. Once dried, add googly eyes, triangular shaped beak, and red yarn for the snood. Add three toothpicks to the top of the turkey. ** Tip!! 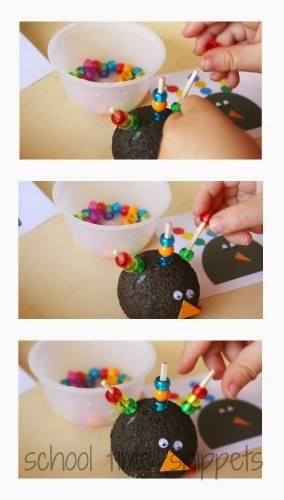 Alternatively, you could also use play dough to assemble the turkey base! Once the turkey base has been put together, provide your preschooler with a small cup of pony beads and the free printable task cards. Encourage him to choose one of the task cards that practice copying simple patterns using the pony beads. Each task card has three patterns to copy, each consisting of three pony beads. For an older child, see if he/she can build the next sequence! ** Tip! I highly recommend you laminate the task cards for future use; this activity can be thrown in a resealable bag and it makes for a great busy bag activity to pull out when you need your child to do something on his/her own! 1 comment on "Turkey Feathers Preschool Patterns Activity"